Laura Ann Smyrl, 84, of La Porte, passed away on Wednesday, February 6, 2019 at IU Health La Porte Hospital. Laura was born in LaPorte, IN, on February 21, 1934 to Clyde Charles and Judith (Doran) Rickes. She graduated from La Porte High School in 1952, attended Indiana University and graduated from Purdue University Reese School of Business in 1954. She was a stenographer and assistant photographer at Kingsbury Ordinance Plant; secretary at the Indiana License Bureau in La Porte, before joining Whirlpool Corp. as an IBM key punch operator and stenographer, until her retirement. On October 20, 1961, she married Ira M. Smyrl, who passed away on September 20, 2008. Laura was a proud member of the Miriam Bendedict Chapter of Daughters of America Revolution, tracing her lineage back to at least 13 participants in the Revolutionary War. She was corresponding secretary, second and first vice regent and regent three times of the Miriam Benedict Chapter. She was junior membership chairman, chairman of pages, recording and corresponding secretary of Indiana Daughters of the American Revolution, Northern District director, and vice chairman of the National Daughters of the American Revolution. She was a member of the Order of Eastern Star, serving as worthy matron three times, district deputy and Grand Ada, She was a member of the Daughter of the Nile, Aretas Temple, Michigan City. 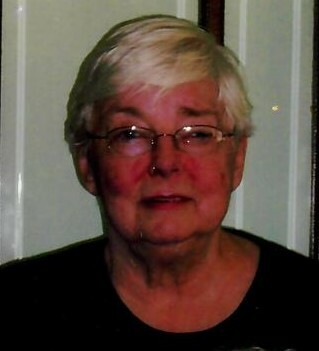 She was a lifelong member of St. Paul's Episcopal Church, where she was baptized, confirmed, married and had been a Sunday School teacher and member of the Altar Guild. Laura is survived by a nephew, Charles E. (Jeanie) Copper, Jr. of Knob Noster, MO; nephew, Glenn Slenker III of Surprise, AZ; as well as several great-nieces and great-nephews. She is preceded in death by two sisters, Judith Mary Copper, Sophia Krise; niece, Kathleen Lower; and nephew, Bruce Copper. A Celebration of Life Service will be held at 11 AM (CT) on Monday, February 11, 2019 at St. Paul's Episcopal Church with The Very Rev. John Wm. Houghton, Ph.D. officiating. Interment will take place at Pine Lake Cemetery following the service. A time of visitation will be held on Monday from 9:30 AM (CT) until 10:45 AM when there will be an Order of Eastern Star Memorial Service prior to the service. Memorial contributions may be directed to St. Paul's Episcopal Church, 1000 Michigan Avenue, La Porte, IN 46350.